Abdominoplasty, or what is commonly referred to as a tummy tuck in Singapore, is a form of tummy surgery that removes excess skin and stretch marks. This is especially useful for post-pregnancy period as women because the tummy area becomes loose and saggy. Through a surgical process, a skilled tummy tuck surgeon in Singapore will be able to tuck the excess skin and fats and also tighten your tummy wall. Any bulge that occurs because of the pregnancy will hence be corrected as the tummy tuck pulls the abdominal walls in tightly. Is tummy tuck an effective tummy surgery for removing stretch marks? Tummy tuck in Singapore is by far the most effective type of tummy surgery for stretch marks and saggy skin. Patients will generally be able to reduce their saggy skin by around half. Any previous stretch marks you have in that area will also be removed in the process. However, do note that because the skin around the area is then pulled tighter around your abdominal walls, it becomes inherently thinner than normal. This means it’s more delicate and open to cuts or scratches. Be very careful and consult your doctor about this before doing the operation. If you are serious in getting a tummy surgery in Singapore, make sure you approach somebody experienced and reputable like Doctor Samuel Ho before making any rash moves. Once the process is complete, a new belly button is created. With “standard” scar length tummy tucks, the rotational component of aligning the scars helps pull in the waist line (improving the hourglass shape as well). Longer scar lengths (extended abdominoplasty) has the benefit of an anterior thigh lift. 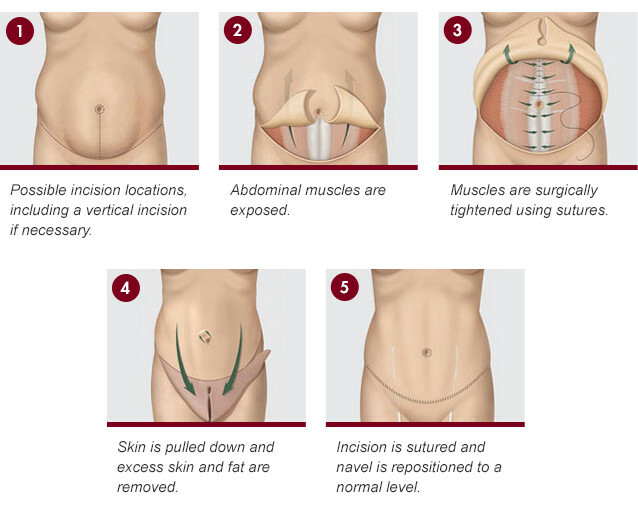 A surgeon may perform liposuction in conjunction with a tummy tuck (most often the flanks or “love handles”).